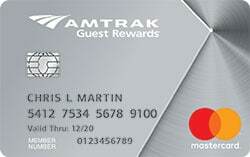 Amtrak Guest Rewards® Platinum Mastercard® is a no-annual-fee travel rewards credit card backed by Bank of America. It’s designed for Amtrak users seeking to earn points toward free rail travel throughout the United States. If not already members, new card owners are automatically enrolled in the Amtrak Guest Rewards program, which is free to join and maintain. Every purchase made with Amtrak, including fares and onboard purchases, earns 2 Amtrak Guest Rewards points per $1 spent. All other purchases earn 1 point per $1 spent. The best way to redeem points is for travel on Amtrak trains throughout the United States. Point values at redemption vary based on fare class, route, date and time, and other factors, but generally range between $0.01 and $0.04. You can also redeem for other forms of travel or transfer points to a handful of travel loyalty programs (such as Hilton Honors). When you spend at least $1,000 within 3 billing cycles of opening your credit card account, you receive 12,000 bonus Amtrak Guest Rewards points. The redemption value of these points varies widely, but 12,000 points can be good for as much as $400 in paid Amtrak fares, depending on the route, time, class, and other factors. If you are not already an Amtrak Guest Rewards member when you open your card account, you get an additional 500-point bonus when you book Amtrak travel within 3 months of opening your Amtrak Guest Rewards account and becoming a member. This card earns unlimited 2 Amtrak Guest Rewards points per $1 spent on Amtrak, including fares and onboard purchases. All other purchases, including other forms of travel, earn unlimited 1 point per $1 spent. Also, all Amtrak Guest Rewards members get a 25% bonus on point earnings for business class travel and a 50% bonus on point earnings for Acela first class travel. For instance, a business class purchase that normally earns 1,000 points earns 1,250 points with the bonus, and an Acela first class purchase that normally earns 2,000 points earns 3,000 points with the bonus. Amtrak Guest Rewards points expire 36 months after they’re earned. You can redeem your accumulated Amtrak Guest Rewards points for fares on any Amtrak routes. The minimum redemption threshold for any redemption is 800 points. You can’t combine cash and points at redemption – you must have at least the required number of points for the specific route you want to redeem. Required point counts for redemption can vary widely based on the underlying price of the award fare. Point values at redemption also vary widely, ranging from as little as $0.01 per point to as much as $0.04 per point (and sometimes more). Points are generally more valuable when redeemed on longer or less popular routes – for example, cross-country itineraries that can take days to complete – and less valuable on heavily traveled, high-frequency routes in places like the Northeast Corridor and Southern California. The best way to ascertain the number of points required for redemption is to plug your desired routes and travel dates into Amtrak’s online booking portal. Other redemption options include gift cards from travel partners such as Hertz and Disney Cruises, general merchandise, and entertainment. Point values for these options vary, but are usually closer to $0.01 per point, and thus aren’t as attractive as Amtrak award travel. Amtrak Guest Rewards members can transfer their points to a limited number of hotel partners, including Choice Privileges (Choice Hotels) and Hilton Honors. Transfer ratios vary, but can be favorable – for instance, you can get 15,000 Choice Privileges points for 5,000 Amtrak points, enough for nearly 3 free nights at Choice’s lower-end hotels. Members can also transfer points the other way, turning hotel points into Amtrak Guest Rewards points, but the ratios are far less favorable. For instance, 32,000 Choice Privileges points buy 5,000 Amtrak Guest Rewards points. Whenever you redeem your Amtrak Guest Rewards points for Amtrak travel, you get a 5% point rebate. For example, a 5,000-point redemption earns 250 rebated points. There is no annual fee or foreign transaction fee. Balance transfers cost the greater of $10 or 3% of the transferred amount, while cash advances cost the greater of $10 or 3% of the advanced amount. Returned payments cost up to $27, while late payments cost up to $37. Bank of America checking account customers can link their Amtrak Guest Rewards Platinum Mastercards for overdraft protection purposes. When an overdraft protection user attempts a checking transaction that would normally result in a negative balance, Bank of America automatically draws on their credit line to make up the difference. Overdraft transfers occur in $100 increments, so a $150 overdraft equates to a $200 transfer. There is a $12 fee for each transfer. This card requires good to excellent credit. Any notable issues in your recent past are likely to affect your application. No Annual Fee. Amtrak Guest Rewards Platinum Mastercard has no annual fee, so there’s no penalty for keeping this card around. That’s a relief for frugal or infrequent travelers who earn rewards too slowly to offset a recurring charge. Points Can Be Valuable When Redeemed for Amtrak Travel. Amtrak Guest Rewards Platinum Mastercard’s point values vary widely at redemption, depending on how and when they’re redeemed. Amtrak travel is generally the most cost-effective redemption option, and it can be very valuable indeed. Longer, less popular routes offer eye-popping redemption values – sometimes $0.03 to $0.04 per point, and occasionally even more. If you’re looking for a great deal on a leisurely trip from point A to point B (or several points), you’d be remiss not to look closely at this card. Very Good Sign-up Bonus. This card’s sign-up bonus is good for several short- to medium-haul coach segments. If you’re looking to accumulate enough points to actually get somewhere soon after opening your account, this is your card. Hotel Partner Point Transfers Offer Good Value. Amtrak Guest Rewards doesn’t have a ton of hotel point transfer partners. 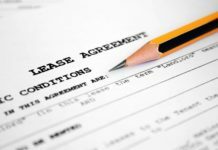 On the other hand, its transfer ratios are generally favorable. You get 15,000 Choice Privileges points for every 5,000 Amtrak Guest Rewards points you transfer – good for almost 3 nights at Choice’s lower-tier hotels. If you earn lots of Amtrak points and plan your redemptions right, you can potentially travel and stay free. Redemption Rebate Boosts Spending Power. The 5% rebate on all Amtrak travel redemptions is a nice bonus that gets you closer to your next free trip. This type of rebate is surprisingly rare on branded travel cards, so it’s a notable advantage over the competition. Overdraft Protection Is a Nice Bonus for BoA Deposit Customers. If you’re a BoA checking account customer, you can use this card for overdraft protection. Since the default overdraft protection method is a savings account transfer, this is a great option for those who wish to protect their savings balances. Few other travel rewards cards offer overdraft protection. No Foreign Transaction Fee. This card has no foreign transaction fee. That’s great news for travelers who frequently leave the U.S., possibly on travel modes other than rail. No Airline Point Transfer Options. Amtrak Guest Rewards doesn’t have any airline point transfer partners, so you can’t turn your Amtrak points into airline loyalty currency (or vice versa). If Amtrak isn’t your only mode of intercity travel, this is definitely an inconvenience. Redemption Values Are Lower on Popular, Practical Routes. Amtrak Guest Rewards points’ redemption values vary widely. Unfortunately, they tend to be lower – just above $0.01 apiece, in many cases – on the most popular and practical routes, such as New York to Boston and Washington, D.C. to Philadelphia. The best values are found on long-haul routes, such as Chicago to Seattle. However, such routes aren’t practical for time-pressed travelers. A direct flight from Chicago to Seattle takes approximately 4 hours, whereas a direct rail route takes upwards of 40 hours under optimal conditions. No Cash and Points Option. Unlike most other travel rewards programs, Amtrak Guest Rewards doesn’t allow customers to combine points and cash at redemption. To redeem for free rail travel, you need to have enough points to cover the entire cost of your chosen route. This is a big drawback for customers who earn points slowly, or who wish to redeem for more expensive routes or classes. Mediocre Value for Non-Amtrak Redemptions. Amtrak travel is far and away the best redemption option for Amtrak Guest Rewards Platinum Mastercard users. Non-Amtrak redemptions offer mediocre-at-best value – sometimes less than $0.01 per point. If you don’t use Amtrak often enough to make free rail redemptions worthwhile, this probably isn’t your card. Has a Penalty APR. This card has a penalty APR that ranges up to 29.99%. That’s not ideal for users who occasionally miss payments due to liquidity issues or busy schedules. In terms of value, Amtrak Guest Rewards points compare favorably with many other travel loyalty currencies. Depending on how you redeem, you can reliably get $0.02 to $0.03 in redemption value for each point with Amtrak – better than the $0.01 to $0.02 common with other programs. The downside is that Amtrak travel isn’t always practical. Outside of the densely populated Northeast Corridor, where traveling by train can be faster than driving and less expensive than flying, hopping an Amtrak is rarely more convenient than finding a cheap flight or taking a road trip. That’s not to say the Amtrak Guest Rewards program is only practical for people who live between Boston and Washington, D.C. – and, with no annual fee for this card or cost to join the program itself, there’s little downside to trying it. Amtrak Guest Rewards® Platinum Mastercard® is ideal for people who use Amtrak often enough to reliably redeem points for Amtrak travel. Since it has no annual fee, it’s a fine choice for light to moderate spenders, though the lack of a cash and points redemption option is problematic. This card is not great for infrequent Amtrak users, nor those seeking flexible redemption options or a larger cohort of travel transfer partners (especially airline partners). Amtrak Guest Rewards Platinum’s key benefits include its lack of an annual fee and foreign transaction fee, generally favorable redemption values on Amtrak travel, a very good sign-up bonus, solid (though not numerous) hotel point transfer options, a nice redemption rebate, and overdraft protection for Bank of America deposit accountholders. Its downsides include the lack of airline point transfer options, mediocre value on non-Amtrak redemptions, no cash and points redemption option, lesser point values on popular Amtrak routes, and a potentially costly penalty APR. Overall, this is a great card for regular Amtrak travelers, especially those who don’t spend fast enough to offset an annual fee.